Home / Blog / Interesting Stuff / Landscaping on Fire! I was driving by this dump truck-sized yew on a recent windy day when a large puff of smoke erupted from the top and blew across the yard. At least it looked like smoke. In fact, it was a huge puff of pollen, shaken loose by a gust of wind. Yews have flower-like structures like other conifers (cone-bearing plants), but they are so small and nondescript that they usually go unnoticed. 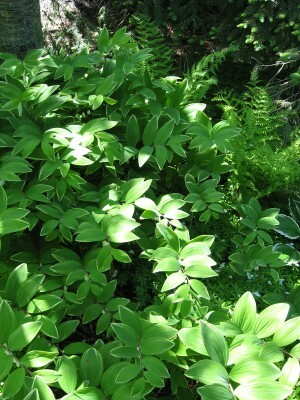 Male and female “flowers” are on separate plants – you may remember the term “diocious” from high school biology. The puff of smoke was pollen from the male “flowers”. The fruit on yews is a small, soft, red “berry”. Since only female flowers will develop into fruit (and seeds), you only find the berries on the plants that had the female flowers. 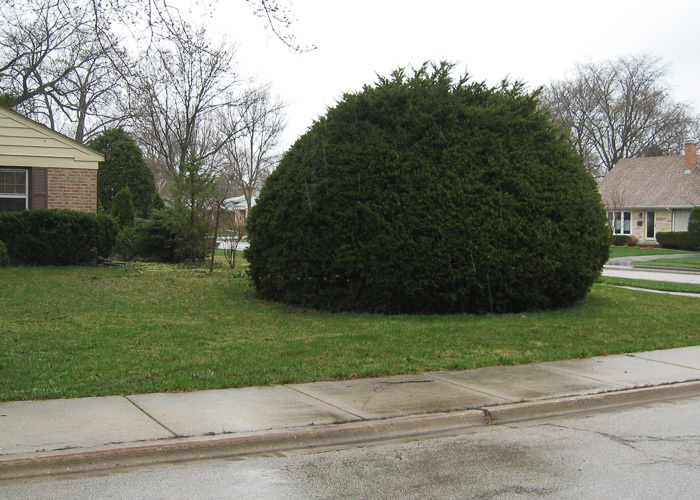 Landscape yews in Chicagoland are varieties of a plant called an “Anglojap Yew”. Some varieties are male clones and will never get berries. Some are female clones and will all get berries (if pollinated by nearby males). Some varieties have males and females. So, we know this is a boy (man?) because of the pollen. This picture was taken in the rain a few days later. No smoking-pollinating going on in the rain.